Best Shocks For Ford F150 4X4 Reviews: Top-5 in April 2019! Shock absorbers are hydraulic oil pumps that absorb the shocks and vibration of the road surface while keeping the tires on the ground. A shock absorber is not a suspension system; it is a complementary performance part that assists the suspension system in both absorbing shocks while keeping the wheels on the ground. (The suspension system is used to support the weight of the vehicle while absorbing most of the shocks). Shock absorbers are designed to absorb and reduce drive bounce, vehicle roll or sway, and brake dive and acceleration squat. 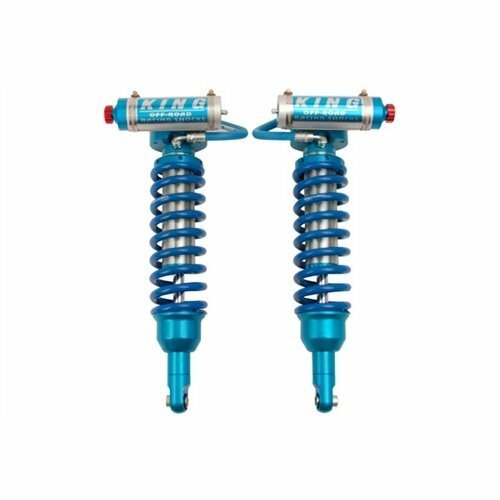 The Bilstein® 33-256764 B8 5100 Series Rear Driver or Passenger Side Monotube Smooth Body Shock Absorber for 0″-1.0″ Lifted Vehicles. This B8 5100 Series Rear Driver or Passenger Side Monotube Smooth Body Shock Absorber is designed for 0″-1.0″ Lifted Vehicles and comes with an easy direct fit solution for lifted trucks. This is a monotube design with a compressed length of 17.52”, an extended length of 28.74” and a stroke of 11.22”. the housing is 1.81” wide and is finished with a zinc plating for corrosion resistance. This model uses the Bilstein Gas Pressure Technology that prevents foaming and maintains high performance during all upgraded driving conditions. This is a classic upgrade kit, with good performance features. It is reasonably priced and well within the budget-friendly price range for basic upgrade requirements. The Gabriel® Ultra™ uses their proprietary G-Force™ technology that delivers extremely fast responses in reactionary times. This unit comes with the Ultra’s StableSteer™ valving and the G-Force piston’s sintered iron construction; this combination delivers a perfect OEM replacement performance for any application. The shocks compressed length is 17.32,” and the extended length is 29.37”, the stroke length is 12.05”. This is a classic OEM replacement model and delivers great stock performance at a very comfortable price. In fact, this is one of the leading stock replacement brands with the best pricing policy on the market. The KYB Excel-G is an exceptional stock performing OEM replacement kit that delivers a nitrogen gas-charged, twin-tube design for optimized stock performance. KYB is the world’s largest supplier of shocks and struts to new vehicle manufacturers. As such, their assembly lines are capable of delivering the best stock replacement parts in the market. The Excel-G is no exception, and this twin-tube gas hydraulic shock comes with an inner working cylinder and an outer fluid reservoir. The hydraulic fluid is forced in and out of both by the shaft and piston, thereby damping the body movement. The compressed length is 16.73”, the extended length is 28.66,” and the stroke length is 11.93”, the extended length comes with a bumper stop. This is perhaps the closest you will get to an original stock part, and at the extremely affordable and budget-friendly price of KYB. In other words, if you want an exact copy of the original parts performance, this is the one to get. King Shocks® 25001-331 OEM Performance Series Front Coilover unit. You are now entering the twilight zone of shocks. 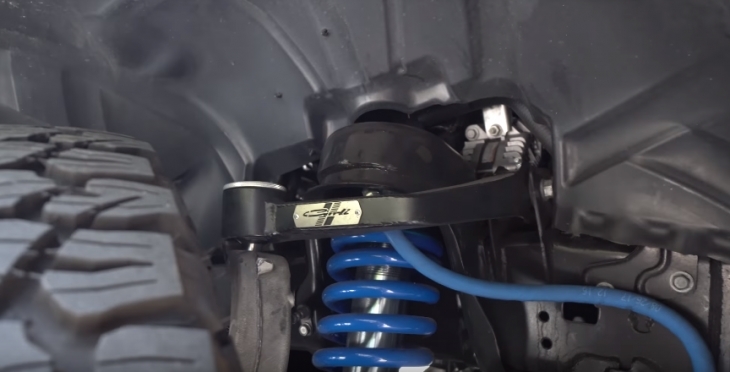 This is the ultimate replacement performance upgrade shock with coil-over springs, and this is priced so high, you will need to think whether you are into upgrading or into stock. Upgraded performance costs and this is the ultimate in your F150 upgrade. With an exceptional performance that is unrivaled, you will not only be envied, but you will never be satisfied with any other sock system again. This is a bolt on, Hard Anodized 6063 Aluminum Alloy Reservoir model is lightweight, and comes with internally threaded top cap design delivering maximum piston travel inside the shock body. The fittings are mated to abrasion resistant Aeroquip high-pressure hoses, and the 2.5″ Shock cylinders are precision bored to within +/- .001. The surface is cadmium plated and honed to remove buildup, providing you with a tight piston seal for optimized valving function. These coil over shocks come with their own truncated thread design, and the heat treated 6061 aluminum alloy piston with accurate port configurations contributes to a unique damping performance. The shaft is a large 3/4″ or 7/8″ diameter that has a minimum tensile strength of 100,000 pounds per square inch. These shafts are then hard chromed and micro-polished to a 6 RA finish. There are Rulon composite wear bands, which deliver improved load bearing low deformation d and high compressive strength. The rod end comes with a steel Teflon lined spherical bearing, and all of this technology is mounted in a billet machined aircraft grade aluminum alloy housing. Yes, it’s the king of the road, and it comes with a royal price tag. If you’re on a strict budget, just drool. If you can afford it or will afford it, you will never go back. 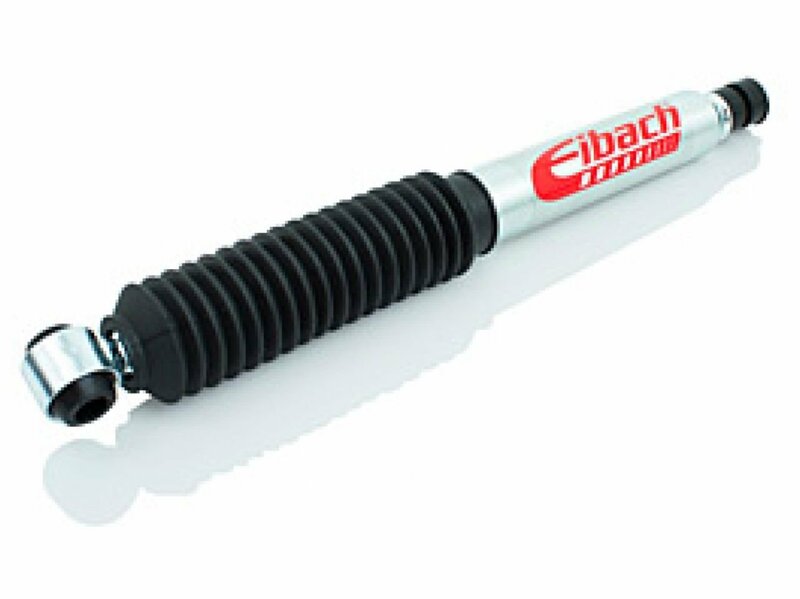 This is the Eibach® 35-035-02-01 Pro-Truck Sports Rear Driver or Passenger Side Shock Absorber for 0″-1.0″ Lifted Vehicles and for 2015-2018 F150 4X4 models. Its back to earth with this great performance kit, that comes at a very reasonable and budget-friendly price. 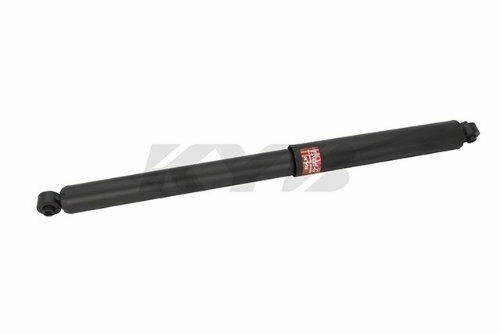 The Eibach performance shock is a monotube nitro-coated rod with zinc coating and exceptional engineering as expected from an Eibach product. This model is designed to provide an adjustable front height up to 1”., and when fully installed deliver rugged and stiff performance for an off-road application upgrade. Exceptional off-road quality performance for stock type replacement shocks at a very comfortable price. 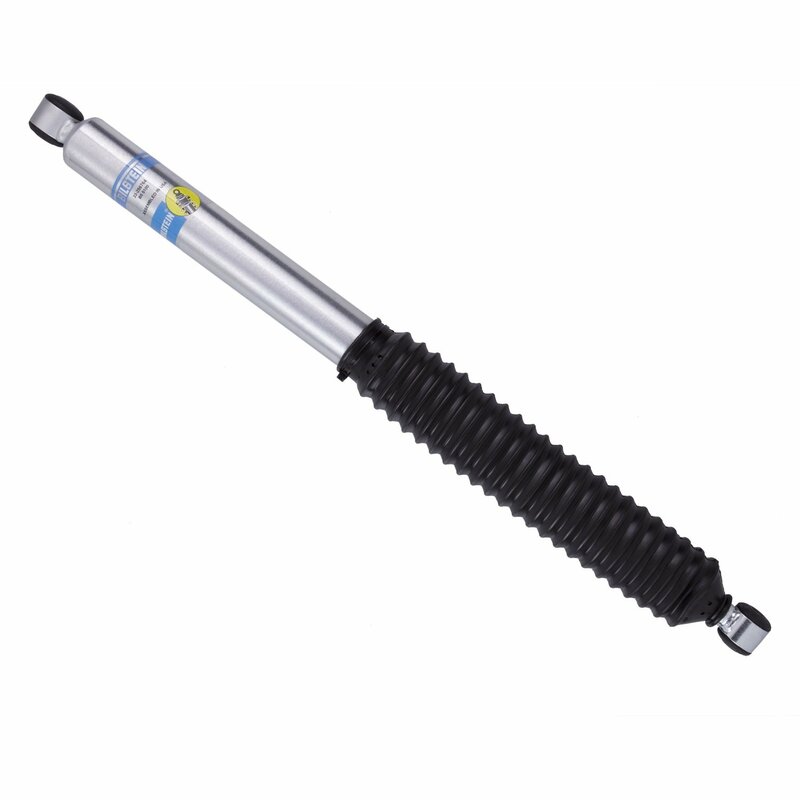 Shock absorbers are designed to force the wheelbase quickly back down onto the ground for constant surface contact. A wheel in the air is a wheel the driver has no control over; this means a free-flying wheel cannot stop, accelerate or navigate unless it is in full contact with the ground.